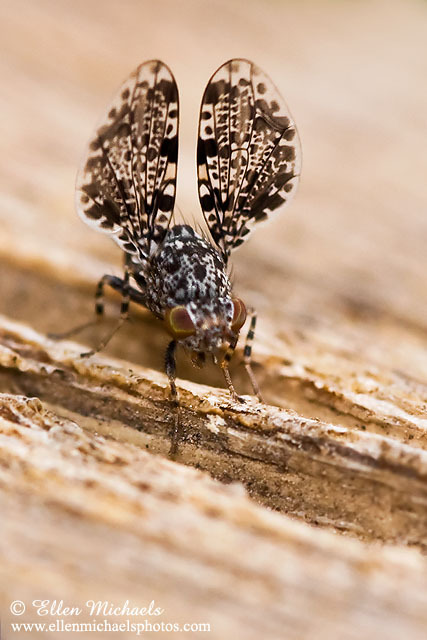 "We" call this the Mickey Mouse fly because the wings look like Mickey Mouse ears when you look at the fly straight on. Nice image Ellen! Wonderful work capturing the beautiful markings of this fly! Terrific image of this wonderful fly!